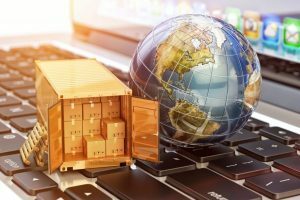 The decision was made Friday to begin new e-commerce negotiations from the sidelines after the WTO’s 164 members were unable to consolidate 25 e-commerce proposals, including calls to set up a central e-commerce negotiating forum, in December. Seventy-six members including United States, China, the European Union and Japan – representing more than 90 percent of global trade – have signed on in support. The negotiations will seek to separate e-commerce from the existing rules governing trade and address the unique opportunities and challenges posed by digital commerce – a US$28 trillion global economy of which around $24 trillion is B2B transactions. In a joint statement, the collective announced that it will build on existing WTO agreements and invite the participation of as many WTO members as possible. With China and the US locked in a trade war and President Trump’s antagonistic relationship with the WTO, the launch of the negotiations have been praised as a victory by many, including the International Chamber of Commerce, and both Australia and New Zealand are participating in the talks. “Commencing WTO negotiations on e-commerce is a significant step towards updating international trade rules in line with how modern business is done,” said Australian minister for trade, tourism and investment Simon Birmingham. New Zealand minister for trade and export growth David Parker says the negotiations will focus on developing trade rules that deliver more certainty and predictability for SMBs and SMEs, and reducing costs and confusion when trading online. “E-commerce is especially important to small businesses as it enables them to participate in cross border trade previously more practical for larger businesses,” says Parker. Parker says that, as a small trade-dependent country distant from key markets, the talks are important for improving the global connectedness of geographically isolated countries. “The expansion of e-commerce offers the potential to help businesses overcome the challenges of scale and distance, selling products direct to consumers online and offering more choice for consumers,” Parker says.